Austin Flint II (March 28, 1836 – September 21, 1915) was an American physician. He carried out extensive experimental investigations in human physiology and made several important discoveries. He assisted in establishing the glycogenic function of the liver; showed that one of the functions of the liver is to separate from the blood the cholesterin, which is a product of the nervous system. and which, becoming a constituent of the bile, is afterward converted into what he named "stercorin" (better known as coprosterol), the odorous principle of feces. He was born on March 28, 1836 in Northampton, Massachusetts to Austin Flint I. He attended medical lectures at the University of Louisville from 1854 to 1856 and in 1856 and 1857 at Jefferson Medical College, Philadelphia. From 1857 to 1859 he was editor of the Buffalo Medical Journal, surgeon of Buffalo City Hospital, and professor of physiology and microscopical anatomy in the University at Buffalo. In 1859 he removed to New York City with his father and was appointed professor of physiology in New York Medical College. He was professor of physiology in the New Orleans Medical College in 1860 and studied in Europe in 1860 and 1861. 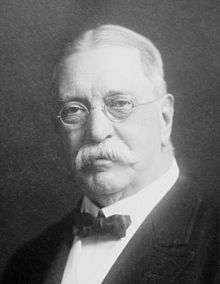 He was professor of physiology and microscopic anatomy in Bellevue Hospital Medical College, New York City, from 1861 till that institution was consolidated with the medical department of New York University in 1898, when he was appointed professor of physiology in Cornell University Medical College. Flint was married at Ballston, New York on December 23, 1862, to Elizabeth B. McMaster. They had four children, one of whom, also named Austin Flint III, was the fifth in direct line of physicians in the Flint family. He was, in 1874, Surgeon General of New York. He was a member of the executive committee of the New York Prison Association in 1890. He was decorated with the order of Bolivar (third class) of Venezuela in 1891. Flint was president of the New York State Medical Association in 1895; president of the Medical Association of the Greater City of New York in 1899. He died on September 21, 1915 in Manhattan, New York City. He was a member of the following scientific organizations: The American Medical Association; the New York County Medical Association; the American Academy of Medicine (honorary) ; Association of Military Surgeons of the United States; American Association for the Advancement of Science; the Academy of Science, and the American Medico-Psychological Association, of which he became a member in 1899. He was also a member of the Century Association of New York. Flint's arcade — an arteriovenous arch at the base of the renal pyramids. 1 2 "Dr. Austin Flint" (PDF). New York Times. September 23, 1915. 1 2 3 Hurd, Henry Mills; et al. The institutional care of the insane in the United States and Canada (1917). 4. Wikimedia Commons has media related to Austin Flint II.